Root Formation By A Tomato Cutting is a photograph by Dr Jeremy Burgess which was uploaded on July 24th, 2016. A rooted cutting of a tomato plant, Solanum lycopersicum (formerly Lycopersicon esculentum), made from a side shoot of the main stem. 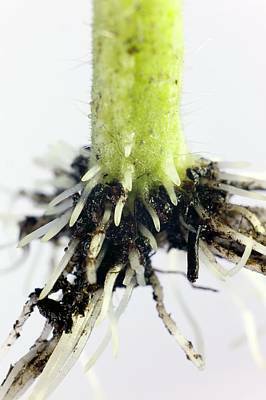 The picture shows the severed end of the cutting (bottom) as it develops new roots. The brown material is fragments of the compost in which the cutting was raised. 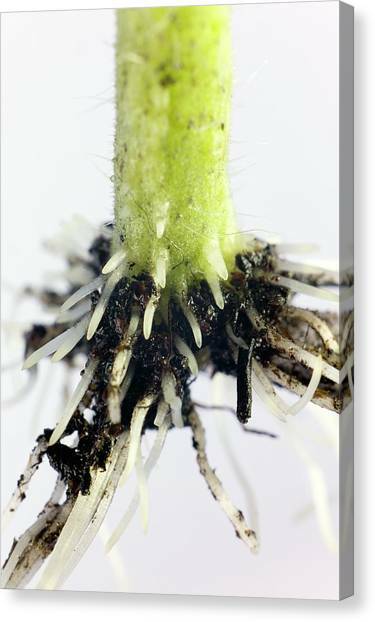 The new roots appear not from the cut surface, but as outgrowths from the stem just above the cut. This is because root formation is stimulated by the plant hormone auxin, indoleacetic acid (IAA), which is produced by the shoot tip and migrates downwards through the stem. 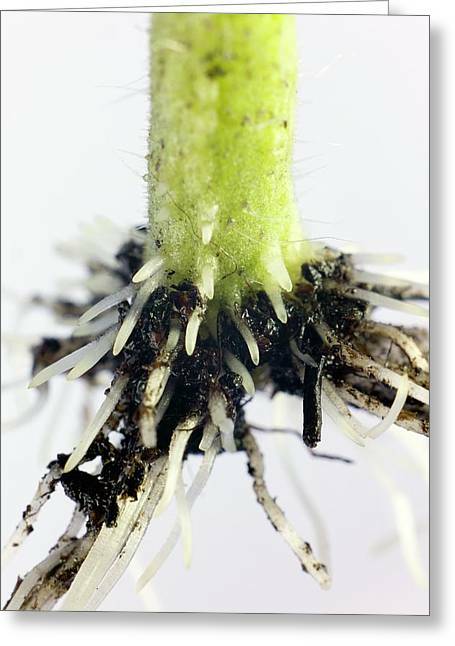 In an intact plant, IAA regulates extension growth, but if the stem is cut, it accumulates above the cut surface, and stimulates the formation of new roots. 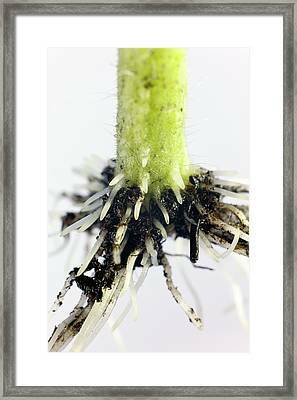 Cuttings are used in horticulture to propagate a wide variety of plants. For the amateur grower, cuttings are an inexpensive way of gaining new plants. 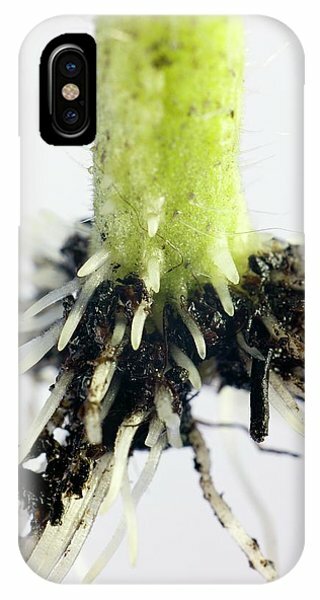 There are no comments for Root Formation By A Tomato Cutting. Click here to post the first comment.